The X-mini™ Capsule Speaker™ is the leader in pocket-sized portable speakers hailing from Singapore and currently sold in 80 countries around the world. X-mini™ will continue as an associate sponsor of the Series through the 2012 Pro Championship Season and will introduce the new “X-mini™ Rookie Challenge.” Any Formula DRIFT rookie driver placing two X-mini™ Rookie Challenge decals for the season will be eligible for the bonus prize. For every Formula DRIFT X-mini™ Capsule Speaker™ sold via Formula DRIFT, five dollars will be placed in a pot. X-mini™ will match the Formula DRIFT pot dollar for dollar. The eligible rookie with the most championship points will win the entire earnings at the end of the season. Additionally, the Driftstream will provide updates on the X-mini™ Rookie Challenge standings throughout the live event. Later this season Formula DRIFT and X-mini™ will release a limited edition branded speaker. The speaker will feature Formula DRIFT logo and traditional red and black colorway. 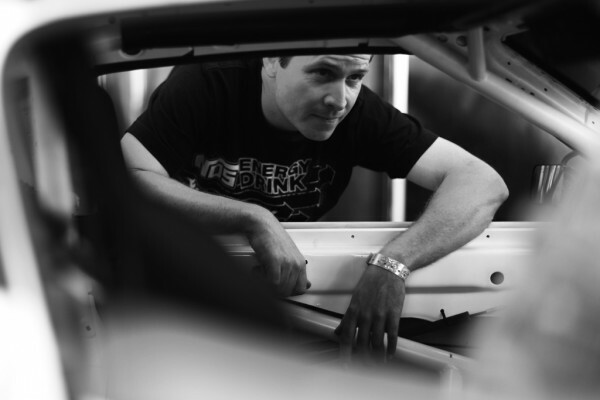 Long Beach, Calif. – February 15, 2012 – Formula DRIFT prepares to begin the ninth professional championship season. Round 1: Streets of Long Beach on April 6-7 tickets are now on-sale and can be purchased online via the Formula DRIFT website, www.formuladrift.com. Round 1: Streets of Long Beach will feature the championship defense for Daijiro Yoshihara, the debut of the Scion Racing FR-S driven by Ken Gushi, and the introduction of a new judge to the Series. New drivers and vehicles will make their debut at this season opener including 2011 Formula Drift Asia Champion Daigo Saito leading the international charge of drivers from 14 nations. Tickets are now available for Round 1: Streets of Long Beach on April 6-7, including reserved seating, 2-day ticket packages, and VIP tickets. Tickets can be purchased through http://formulad.com/schedule/tickets/, Ticketmaster outlets, and the Long Beach Convention Center box office. Ticket prices start at $28 online with reserved tickets available for Saturday’s competition day. 2-day packages are also available along with VIP ticket packages. Save on additional fees by purchasing your ticket at the Long Beach Convention Center box office directly. 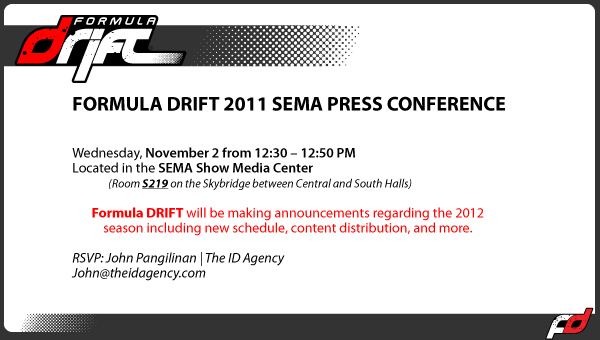 For those attending the annual SEMA tradeshow next week in Las Vegas, Formula DRIFT will hold a press conference to announce news items pertaining to the Series. If you are a member of the media and would like to attend this press conference please RSVP to john@theidagency.com. One on one interviews can be scheduled including co-founders Jim Liaw and Ryan Sage and the 2011 Formula DRIFT champion Daijiro Yoshihara.